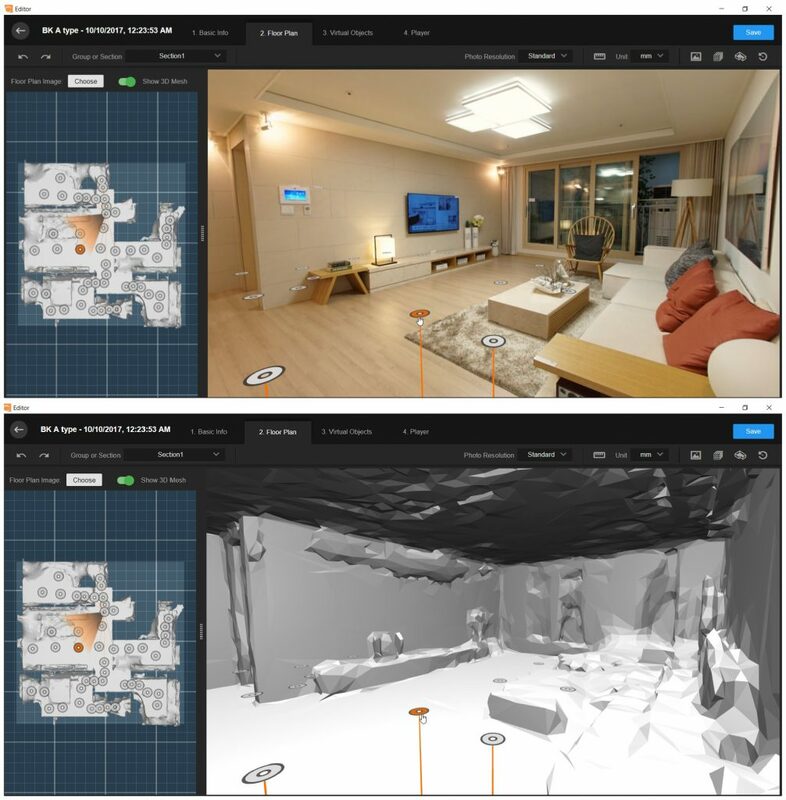 CUPIX: You need to get this unbelievable 3D virtual tour software — before your competitors do! A typical 360 virtual tour is usually divided into rooms. Clicking on a room allows you to see a 360 view of that particular room. You then click on another room to go to the new room. By contrast, a 3D virtual tour is designed to enable you to move around within the room or even between rooms. 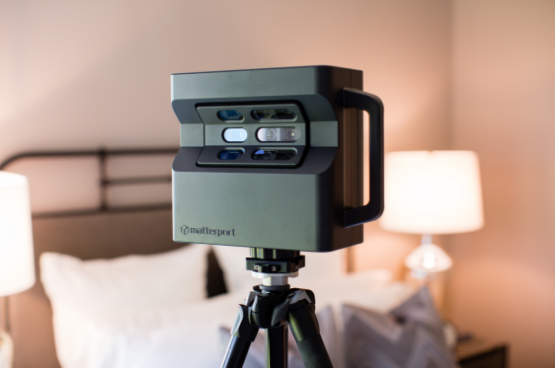 The most well known example is probably Matterport, which uses a depth-sensing camera to scan the room and create a volumetric 3D map. To use the Matterport camera, you create several 360 scans of each room. 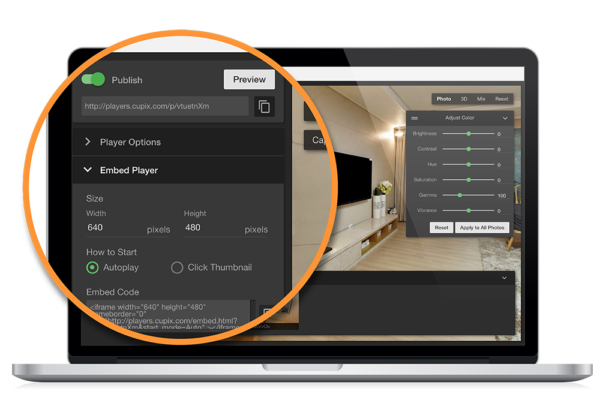 You then upload the scans to Matterport’s cloud service which will combine the individual scans to create a 3D map of the room. It’s really amazing but their camera costs $3,995 (as of October 2017), on top of subscription fees of $49 to $149 per month. There’s also a $19 processing fee per 3D space. Cupix creates a 3D map similar to Matterport but with some important differences: first, instead of using a depth-sensing camera, it uses ordinary off-the-shelf 360 cameras that can cost less than $150. Second, because each point in the map can be taken instantly (instead of taking several seconds to scan), it’s much faster. Matterport takes about 45 minutes to shoot 1,000 square feet of space. Cupix takes only about 10 minutes per 1,000 square feet. To capture a space on Cupix, you simply take a 360 photo every few feet (about 4 feet or so). Tip: your workflow will be much faster if you use a 360 camera with in-camera photo stitching such as the Ricoh Theta S or Theta SC. When you’re done taking the photos, simply upload them into the cloud for processing. There’s no need to tell the software where you took each photo. Instead, Cupix’s powerful computers use computer vision to analyze your 360 photos and use them to generate a 3D map. When the map is ready, you’ll get an email. From there, you can edit the tour by adding 3D text or 3D photo frames for example. You can then embed the virtual tour, with custom watermarks and other options. Here is a sample 3D space virtual tour created in Cupix. Besides being more immersive, there are several practical benefits for a 3D virtual tour. If you create a virtual object such as 3D text, you only have to do it once, and it will be seen in all the photos where that portion of the room is visible, with the correct perspective. Another feature of Cupix is measurement. If you have an object with a known length, such as a doorway, you can specify the length of that object in Cupix and Cupix will be able to measure the rest of the space. For example, you could use a virtual ruler to find out how wide is a hallway to see if something would fit within it. The most important benefit is better engagement. For example, in one case study, a hotel had a 25% higher conversion rate. This looks awesome, thanks Mic. I’ve signed up and will have a play. Are you associated with them in any way? I cant seem to find a way to sign up. Could it be possible that the Beta phase is over? Login with Facebook. It works. Hi Alex. I don’t have an affiliate relationship with them but I have been in communication with one of their officers. Looked at the provided Cupix samples and was disappointed with firstly, the very slow download speed from their server (I have a fast 105Mb download speed with Virgin fibre) and secondly Ifelt that the spacing between nodes/scenes was too short. Overall the fluidity was poor. It needs a lot of playback development. OK Matterport is very expensive, but the delivered end products are superb. I guess it comes down to what is affordable, doable and suits your customer base. Hi Harris. The spacing between nodes depends on the user. Re speed, I was told it increases the longer you use it because it will switch to a server closer to you. Hi, have you had a chance to try Cupix with the Insta360 Pro? I understand the Insta360 Pro does in-camera stitching, however I’m not sure how much time is required in-between sequential shots… The Ricoh Theta S is great for quick shots (~6s between a shot), but not ideal for high resolution 360 photos. The Panono on the other hand is the complete opposite… Hoping that the Insta360 Pro is the sweet spot (especially with the 15k resolution update). Hi Ryan. I will try. Not all shots have to be stitched in-cam. That would speed up the Pro. Thanks Mic, looking forward to hearing about your experience. I tried this with the insta360 Pro, firware v165, capturing in RAW, then batch export from Lightroom Classic to JPG (the format Cupix needs). THe result looks to be superb, except that none of us can find a way to view the experience in a headset. Since they rely on WebVR, and nobody seems to know how to use WebVR, this is a huge hurdle. They go to great length to show everyone how to capture and create, as I’d assume during their Beta so they can collect more data on what’s working and what’s not. But thye kind of leave people high and dry for viewing and showing content in VR, especially to non-vr folks. I’ve tried Chrome, Chromium, Firefox, Samsung Internet for GearVR (with WebVR Enabled in settings), as well as multiple browsers on my S8+, non of which render a usable experience in cardboard. I’ve got every headset here to try it on, if anyone knows what looks good? Thanks David. I’ll ask them about whether there are any VR options for viewing. Awesome, good to know the results of the Insta360 Pro look good. Do you have any samples you can share? Great Find! I have a Panono Camera which I love, now I am somewhat familiar with this, but I do have a question. Do you have just by adding ‘depth’ it makes the viewing experience better? I am sure on this forum we have seen Matterport in action and it is nice, but….I am not sure…any thoughts? also, how reliable is cupix, im looking to post some vr tours for customers but i dont wanna look bad by having a site thats too slow to view, are there other sites that do the same as cupix? Hi Zee. Keymission 360 will work and what I like about the KM360 is that it’s easy to use. Stitching is all in the camera for both photos and videos. However, to be honest, the sharpness is poor toward the stitch line. For video, it might not be noticeable. For photo, it will be noticeable. If photo is important to you, I instead recommend Xiaomi Mi Sphere or Insta360 ONE. Both have better image quality, and more important, both have built-in image stabilization, which KM doesnt have. which is a better camera, keep in mind I cant afford $3000. Hi Zee. For photo? I would recommend Xiaomi or Insta360 ONE as affordable 360 cams. Xiaomi has better detail, while One has better workflow especially for raw DNG. Hi Mic, I have both panono and Mijia 360, which do you recommend for indoor 360 photography for the Cupid virtual tour? Which camera has better dynamics? Thanks Mic, very helpful video. Is there a way to download a file straight instead of using the provided link? Cupix is nice. But its too costly and the speed is still an issue for me. For simple 360 tours of most of my properties I tend to just use a 360 photo slideshow generator like https://www.cloudpano.com.